Google is rebranding Android Wear to Wear OS, a change to reflect the high number of iPhone owners using a Google smartwatch. That means a new logo, which will appear on all future Android Wear - sorry, Wear OS - smartwatches, while all existing watches will be rebranded in an over-the-air update in the coming weeks. But what about new features - and the future of the platform? Sadly this isn't Android Wear 3.0 by another name, but Google has promised a handful of features soon, some of which we learned about when we sat down with Dennis Troper, head of product at Android Wear. He also hinted at some other improvements we can expect to see over the coming months. From new health updates to an improved Assistant, here are the new features and changes you can expect to see in the coming months. iOS users are also getting a new app that will let them view their Google Fit history, as until now that was only viewable on the watch when used with an iPhone. But Google's got larger ambitions in health and fitness. "We are very interested in a lot of progress on the health and Fit side of things," said Troper when we asked about pursuing 'deep health' in the way Apple and Fitbit are right now. "I don't want to announce anything right now, but you can expect a lot of progress happening this year in this space from the Wear team." One of the areas the team is working on is "more proactively coaching and motivating users to stay more active, and helping them with their overall wellbeing," said Troper. There is a lot more that is going to happen in 2018 with health and fitness that we'll be announcing in the upcoming months"
Given that Alphabet has a lot of interest in health with Verily Life Sciences and other branches, it's surprisingly far behind in the wearable health race. Here's hoping Google can catch up. Browsing the Play Store on watch is fiddly as hell, especially when you have to use the keyboard, so we asked Troper if iOS users might be able to one day browse the store on iOS. "We're looking into that," was his response. But one iOS problem he sees as more imminently fixable is the Assistant. "There have been many cases where the connectivity breaks and so users are not able to complete that whole throw from asking the question to getting the information. So when I talk about improving the iOS experience, this is one of the areas we're investing a lot of resources, trying to improve the connectivity between an iOS device over Bluetooth with Wear." Troper said that Google is "building more and more automation in [its] tests to detect issues of connectivity much earlier." "We work with so many devices with different architectures, so it might work well with one watch but not with another. By adding this automated testing it's going to help us anticipate these issues much earlier in the cycle." iMessages continue to be an obstacle for Android Wear users, and that's not going to change any time soon - but Troper says it is something they're trying to get around. "It's a problem that's not unique to Wear," he told us. "But we want to find a solution there." Troper says communication is one of the "hero use cases" for Wear and something the team will be "doubling down" on. "We're going to optimize the experience for the wrist form factor and make sure it really works well." With Android Wear 2.0 Google dialed down the 'cards' and made notifications a bit less annoying, but we feel they could be better still. "We think that information that flows into your wrist needs to be fast and at a glance, as opposed to cell phones that you can be immersed in for hours," said Troper. "It should be quite the opposite in that regard. There are many things we're doing to make that experience much better for the wrist form factor. We're also going to give users more control over the information they get on the watch." Despite a few major consumer tech companies stepping back from Android Wear, notably Motorola and Asus, Troper isn't fussed. "Every partner is different. They have their own reasons why they may want to invest or not invest in wearable devices. What we're seeing is a very healthy ecosystem of partners both in the consumer electronic brand side of thing as well as in the fashion and luxury side. That's not changing." Google launched the LG Watch Sport and Sport at the start of 2017 to showcase the potential of Android Wear 2.0, but they're getting long in the tooth. 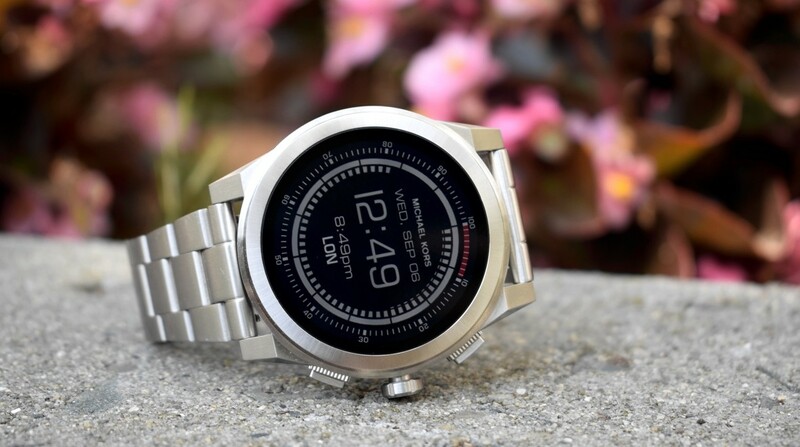 We've called on Google to make a Pixel Watch, and we may soon get our wish, or at least a hero watch to replace LG's. "I think it still makes sense and we're going to still be doing that," said Troper when we asked if we'll see a new hero device. "I don't want to announce anything right now but the prospects are good." We mentioned incoming improvements to Assistant when used with iOS, but Troper promises that Assistant as a whole will get better, which is no surprise when you look at how hard Google is pushing this in the smart home. Troper said that Google is working closely with the Google Assistant team to make the experience more reliable and more proactive. We are investing a lot in the Assistant. We think what we launched was a 'very first' version but we have a lot more to improve and we're well aware of that, especially when it comes to the presentation and the results, and also anticipating what a user wants rather than waiting for the command to come through voice." "Obviously battery life is super important, and we're working on different levels to improve battery life," said Troper. "I think the best way to characterize where we're putting that investment is three levels: the display level, the network routing or network traffic level, and then at the CPU level. In each of these areas there are aspects that can be further optimized. So for example we won't wake up the CPU unless we have to. "So each one of these areas, we're working to further optimize." Battery drain is a real nuisance with Wear, and though it varies by watch and usage, we find it hard to stretch it to two days. We've love it if Google could make it so Wear OS can reach a second night, but before then we may need a new chip to run Android Wear on. Qualcomm, we're looking at you. Android Wear 2.0 made it so Google could deliver more frequent updates to devices, but other than the recent Oreo update it's felt like improvements have been thin. Troper promises that's going to change with Wear OS. "You're going to see improvements coming in more and more often." Google launched 26 watches in 2017, and this year we can expect plenty more, says Troper. "This decision has been very welcomed by our partners. There's a great lineup of watches that we're planning with them for 2018 that'll be shipping with this new brand." All eyes on Baselworld then.